The first main label Stamina cut of the year is here, and what a way to blast off 2015! 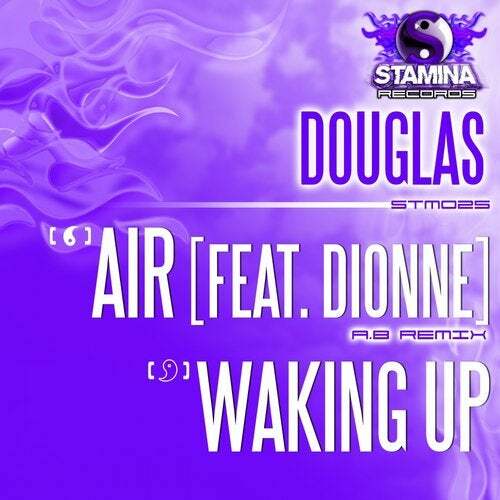 Two of the most prominent producers of the imprint unite on one almighty remix as label chief A.B remixes Douglas seminal Air feat. the vocal loveliness of Dionne. First heard booming out in clubs back on STM005, A.B takes the unique quirky appeal of the original up-to-date with chunky grooving beats, pounding percussion and raw tearing bass, crafting a remix that is designed to shatter dancefloors thanks to a hefty injection of rave-based energy. Dionnes classic vocals sing out across that main riffin hook giving any receiving crowd the lift theyre looking for - reach your hands up and touch the Air with Stamina Records!